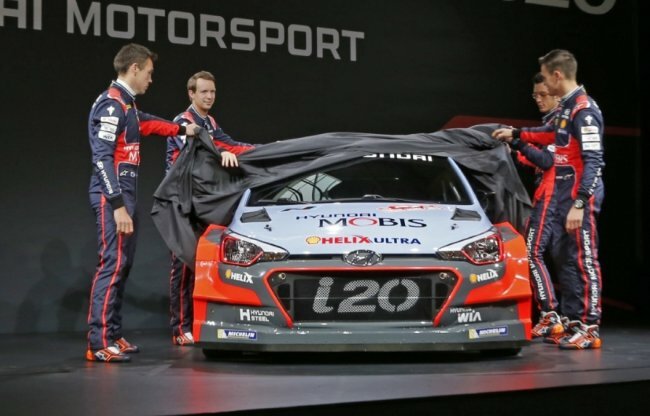 Hyundai Motorsport has kicked off the 2016 FIA World Rally Championship season by unveiling a brand new i20 WRC! A group of around 150 invited guests and media watched the unveiling at the team’s factory in Alzenau, Germany. Hyundai Motorsport are still fairly new to the WRC, and this vehicle represents an exciting new chapter for the team, as they look to build on a successful opening two seasons. The team opened for business in 2013, started racing in the 2014 season, using a rally car built from the ground up. Improvements were made on the go, and the i20 rally car secured its first win in Germany in August, 2014. Podium finishes became more frequent, and second place in the Manufacturers’ Championship was contested right up until the season finale. Testing and development of the New Generation i20 WRC began in early 2015, with an eye to debuting the car in Monte Carlo in 2016. The vehicle traveled 8,000 km in the testing phase, with the end result being an i20 that is quicker and easier to handle than ever before. The new model shows just how far the Hyundai Motorsport team has come in such a short period of time. They may be young, but they are also incredibly ambitious. The goals for the 2016 season are to challenge for the front and go after the Championship with a renewed vigor. All told, Hyundai will have a trio of cars in each race in the 2016 WRC, with Dani Sordo, Hayden Paddon and Thierry Neuvilleset to drive. The drivers will take the #3, #4, and #20 cars starting in Monte Carlo in January, all the way through to the season finale in Australia. The drivers will switch cars as needed throughout the season, Hyundai will begin the year with 2 of the new models beside one of the older ones, and will then go with three new generation i20 WRC models from Rally Sweden onwards. All three drivers were on hand for the unveiling, and were pictured beside the vehicles that featured a revised livery line-up. 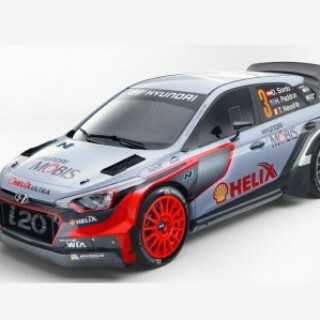 Shell and Mobis have prominent placement on the vehicles, which makes sense since they will be part of the team entry name: Hyundai Shell World Rally Team and Hyundai Mobis World Rally Team. Additional livery will be announced as the season progresses. Kevin Abbring will be staying on as a test driver for Hyundai Motorsport, and will also drive a 4th vehicle in selected rounds of the WRC. His main duties will still be to help with 2017 vehicle development, as well as R5 activities. The R5 is based on the new i20, and will be made available in the coming weeks under the banner of the Hyundai racing division. Development and testing will start in early 2016, with homologation soon to follow. Private rally drivers in the WRC will then be able to order the vehicle in the second half of 2016. For now, though, the focus of the Hyundai Motorsport team is on the upcoming 2016 WRC season, which kicks off in Monte Carlo in January.